From the western slope of Liberty Hill I think? 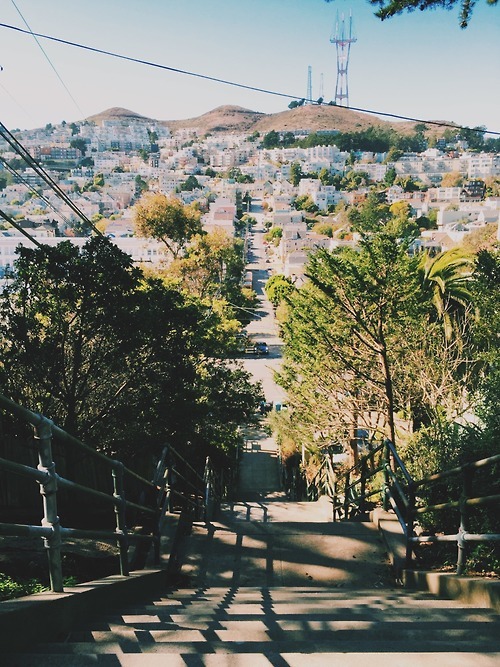 Which is the hill that rises southwest from Dolores Park? Anyway, cool view. What's it like to race up to Twin Peaks and back on a fixed-gear bicycle with $500 on the line?